MAIN CARD : Blue Color 250 gsm Shimmery Finish Paper With Silver Color Printing. Motif Nicely Decorated With Rhinestone/Kundan. 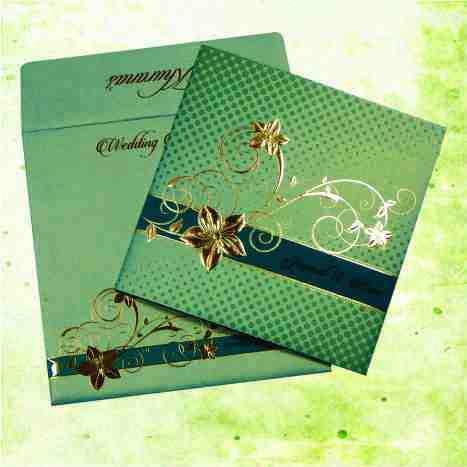 INSERTS : Matching Color Inserts, on 250 gsm Shimmery Finish Paper Tied With Matching Ribbon.